Branding is a popular topic in the business press these days. Unfortunately, coverage of companies like Tesla, Nike and Virgin, make it sound as if Branding is a discipline reserved only for Fortune 500 companies and globe-trotting billionaires. Small-business branding is often overlooked. Let me set the record straight on that: It’s entirely possible to build a successful brand without a million-dollar marketing budget or a cadre of high-paid consultants. Many small-business owners do it intuitively. They build a successful business, step by step, year after year, and eventually a great brand develops. You can’t just come up with a nice name a great logo and expect the business to become a successful brand overnight. Without a good, solid business operation and a realistic brand strategy, you can’t have a great brand. Forget about Proctor & Gamble for a minute and consider the small businesses branding case studies in your town or neighborhood. Think about the little guys who have a ridiculously loyal following. What makes them successful? What have the owners done that turned their typical small business into an iconic local brand? In Bend, Oregon there’s a popular little restaurant named, simply, “Taco Stand.” It’s not the best Mexican food in town, but it’s damn good and it costs next to nothing. It’s so cheap it’s almost embarrassing. Taco Stand’s in a terrible location next to a laundry mat. It’s not open for dinner. They have no web presence or advertising budget. And yet, it’s a successful little brand, doing much better than many high-end restaurants downtown. Taco Stand has all four ingredients of a tasty brand, with a bit of Tabasco thrown in for good measure. For Taco Stand, flavor and low cost are the differentiators. They consistently deliver on a very simple value proposition: You’ll get a big, great-tasting burrito for very little dinero. Credibility stems from the genuine quality of the food, the consistency, and the loyal, locals-only reputation. If there were an insider’s guide to Bend dining, Taco Stand would be top of the list. Small-business branding – learn from the branding mistakes of the big boys. Most people think differentiation and credibility is easier for big corporations. They can launch a new brand with a massive tv campaign, effectively differentiating their product on nothing but advertising creativity and pretty packaging. Social Media alone can lead to some degree of credibility. But it won’t necessarily last. Great name. Great-tasting product. Launched with beautiful, minimalistic package design from Duffy & Partners and an old-school, Fortune-500 style marketing effort with lots of full page, full color ads in targeted magazines like Shape and Parenting. My kids like Smart Start, but they’re not the target market. It’s an adult cereal, promoted on its nutritional virtues. Too bad. 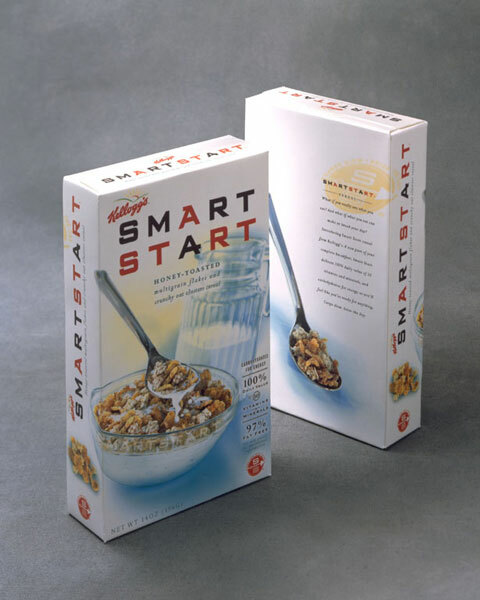 As it turns out, Smart Start isn’t as nutritious as it’s cracked up to be. It’s loaded with sugar… 14 grams of high fructose corn syrup, to be exact. That’s more than Fruit Loops, Cocoa Puffs or Cap’n Crunch. So much for brand credibility. I’ll bet Smart Start doesn’t have the staying power of Cap’n Crunch — my childhood favorite. Because in this day and age, consumers are too smart for Smart Start. When the word gets out, the brand’s going to have a huge credibility issue on their hands. The brand promise — that this cereal is a smart, healthy start to your day — is out the window. Kellogg’s will probably fight back with the old line-extension trick. Rather than addressing the underlying weakness of the product, they’ll just keep launching new flavors of Smart Start and new spin-offs. Also notice that the packaging has devolved over the years… what started as a distinguished, minimalistic design has become less and less unique with every variation. So Smart Start’s credibility is sorely lacking for anyone who pays attention to a label. The brand’s consistency is debatable with all the line extensions. And the brand’s relevance is dwindling as more people find out about its nutritional shortcomings and turn to truly healthy alternatives from brands like Kashi. For a big company like Kellogg’s, it may not matter. Maybe Smart Start is doing well enough. Maybe Kellogg’s can chalk up a good profit despite the questionable product claims. It’s a big company with big resources. They can just move on and do it all again. Smaller companies don’t have that luxury. You can’t afford to launch a new brand under false pretenses of any kind. Credibility too hard to come by, under the best of circumstances. What do you suppose would happen to Taco Stand if they suddenly started marketing “healthy” burritos? Relevance would be the first to go, since people who want a big, cheap burrito don’t really care about healthfulness. (Just because you can make a claim, doesn’t mean it’s going to be relevant to your core audience.) “Healthy” is not part of the Taco Stand value proposition. 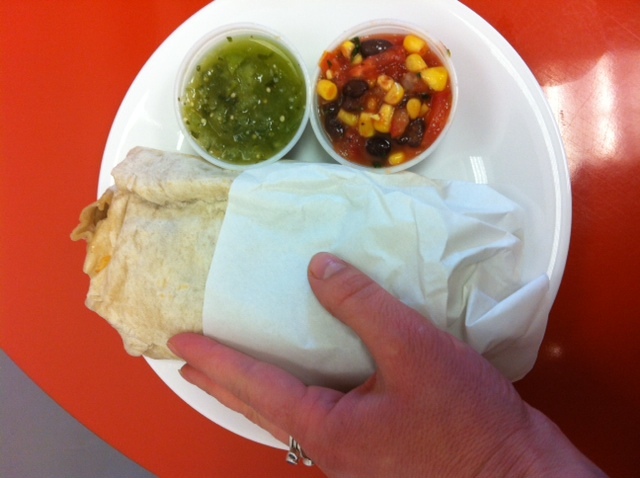 Credibility would lost, because no one would believe that a Taco Stand burrito is really healthy. And, of course consistency would be sacrificed. Consistency of flavor and consistency of their messaging. After that, no amount of differentiation would help. It would end up like so many other restaurants that just come and go, leaving a bad taste in everyone’s mouth. So what’s the lesson here for small-business branding? Make sure your product claims are relevant, and not just good-for-nothing add-ons. Don’t choose a name, like “Smart Start” that cannot be substantiated by the facts. Be consistently authentic. If you serve a great, cheap lunch, don’t try to do dinners. For more on what all great brands have in common, try THIS post. For help with your small-business branding and marketing management, schedule a free consult with BNBranding.